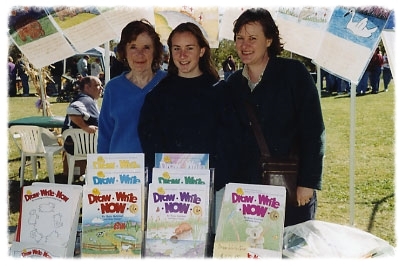 Melissa and her girls, Rose and Beth, were recently introduced to the Draw Write Now lessons. 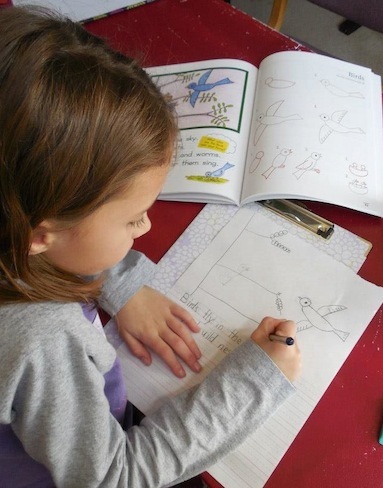 Hear how they enjoyed drawing together, tried out pencil grips, and neatly worked on their writing. I loved Melissa’s comment that 5 year-old Beth “…was incredibly focused on neatness and proportion of her letters for the first time.” I hear that from parents a lot. Don’t forget to sign up for a chance to win the $50 e-Gift Card!